I am so excited to finally launch the accessory. This idea was in my mind for a year prior to chatting with my pal Amanda of Engravables Design. Then it took another year and a half to bring it to you all. Things were put on the back burner and other products came first, but we finally did it! 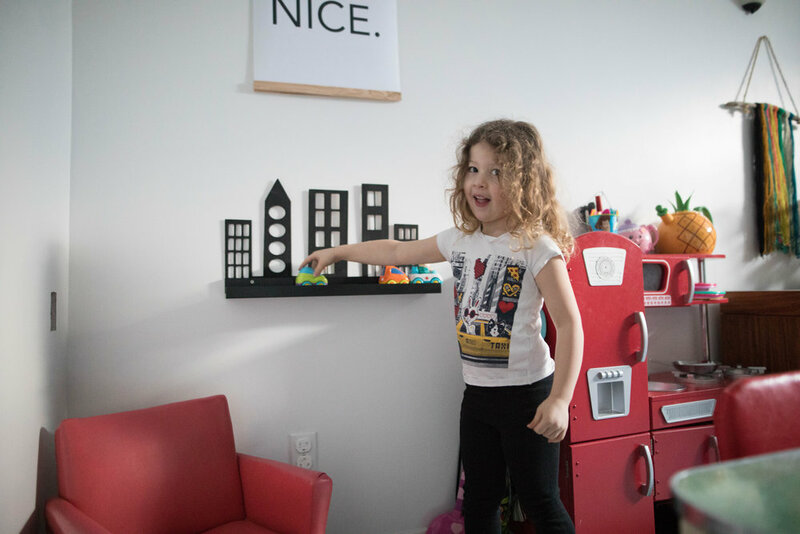 When I had the idea for the accessory, I realized that almost all of my friends had a IKEA Ribba shelf in their child/babies rooms. They held an assortment of things on them. Not that they weren't already great in their minimal style, I thought they would be SO much cuter with a backer on it. City scape was the first that came to mind, then following was the mountain and the watermelon slice. Like any Ruby Thursday Idea, I like a multi purpose product. There is the option to buy additional wall hooks so the your RTC wall hooks have a backer that is so awesome! Lastly. I really wanted the option to paint them. It gives the option to customize and I love that. Everyone has that idea of the perfect shade and now they can achieve it on their own! Click here to purchase your accessory ! Seeing as summer cannot come soon enough over here in Edmonton, (Or at least that's how I feel.) I am here to share my mood board for the fruity fresh bedroom and let me tell you, I wanted to go make a fruit salad as I created this post! Here are my favourite little accessories ai found for a fruity room. First of all at the top. We have the watermelon pillow from Land of Nod. Seriously, that company cannot do wrong! And beside are two from an online shop I just discovered out of Australia called Adairs. They really do share my love of fruit decor with this strawberry and watermelon pillow! Next is another fantastic find from Adairs. The pineapple light! SO freaking cute. After that is the lemon stuffy from Simons MAISON collection. We are so lucky that we have a Simons in Edmonton. I have purchased several things from their maison section and this lemon stuffy totally did it for me! Below is the pineapple light is the watermelon stool and shelf from Timba trend. I have been following them for quite some time now and they never cease to amaze me. 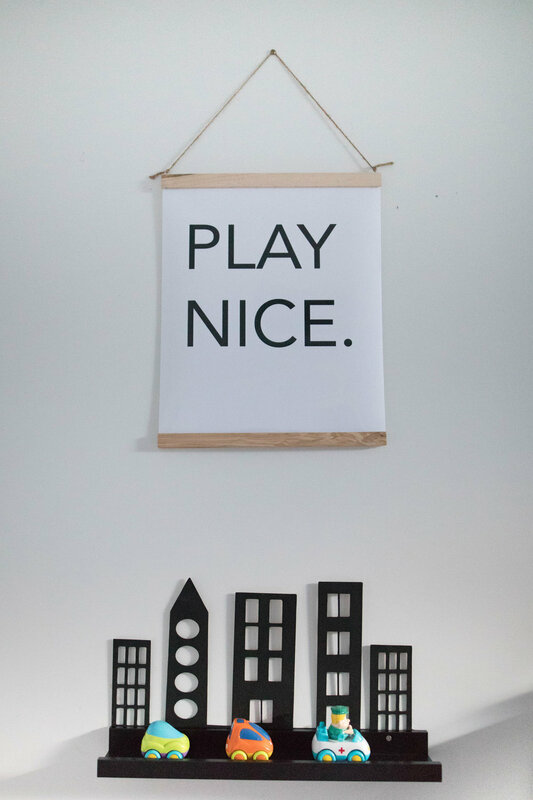 Their simple they striking designs for kids decor are my fave and another gem out of Australia. Did you know that the Australian dollar and the Canadian dollar are quite close? it's actually better to order from there and ship than ordering form the US right now. Poor Canadian Dollar. And Last is the pear love. the Grey knit Pear stuffy is from Taccity goods and I found the Pear print on Etsy. Here's a cute little printable DIY fruit garland you can create for your wall too! One of the cutest fruit toys that I love is the Melissa and Doug Cutting Fruit Set that you can cut up! its so cool because you can shop through the Velcro. We have this toy and it is Lila's favourite! Here is some bedroom inspiration from Adairs. I Just love the pastels, soft greys and pops of bright teals! I hope you all enjoyed seeing this as much as I enjoyed creating it! Stay tuned for a fruit addition to the shop coming this summer! Hope your day is yummy and fresh like this post!